Open any bartender’s guide and you'll discover a plethora of cocktails made with brandy. 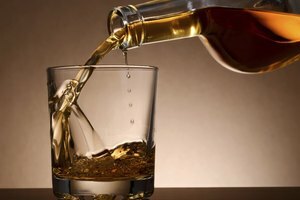 Whether you drink it in a cocktail, neat, or on the rocks, a little brandy knowledge and the right glass enhance the experience. Neat is simply a straight shot of brandy poured into a snifter and served at room temperature without ice or a mix. The opposite of that would be on the rocks. 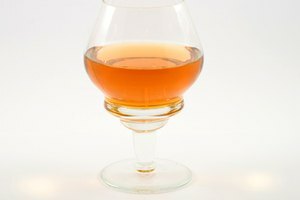 Brandy can be combined with other liquors, fruit juices, or cream to create a variety of cocktails, such as a brandy sidecar, a brandy Alexander, or an old fashioned. Brandy cocktails are generally shaken with ice cubes, strained into cocktail glasses, and served with an aromatic garnish. Wide-bowled, curvy snifters with short stems were designed specifically for drinking brandy neat. The tapered mouth of a snifter lets the drinker capture the depth and aroma of the liquor. The wide bowl makes it easy to warm the drink with your hands. Snifters come in many sizes, but normally, no more than two ounces of brandy are served neat. On the rocks, drink brandy from a straight-sided highball or shorter old-fashioned glass. Use taller-stemmed tulip glasses with wider lips for brandy cocktails. 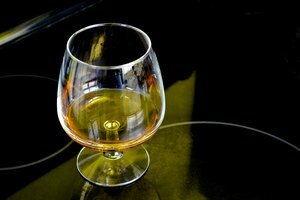 Many connoisseurs prefer to heat brandy in a wide-bowled snifter before taking a sip, as gentle heat enhances the flavor and aroma. An easy way to do this is to pour warm water into the snifter, swirl it around, then pour out the water just before adding the brandy. Or, carefully heat up a snifter of brandy over an open flame; do not overheat, which may cause the alcohol to evaporate and ruin the flavor. To gently warm the drink while you sip, keep the palm of your hand in constant contact with the snifter. Cognac is a type of brandy. While brandy is produced throughout the world from a variety of fruits, such as peaches, apples, or berries, Cognac is made from only three types of grapes grown in the Cognac region of France. Both spirits are distilled, but Cognac is distilled twice and aged, and is usually more expensive than brandy. Both may be enjoyed in the same manner, but the preferred way to drink Cognac is neat in a snifter.